I got this fox sleep mask kit from Lucky Dip Club subscription box some time ago (love a subscription box, me!). I decided to make it for my best friend’s daughter, she is a student and I used to adore receiving mail when I was a student. 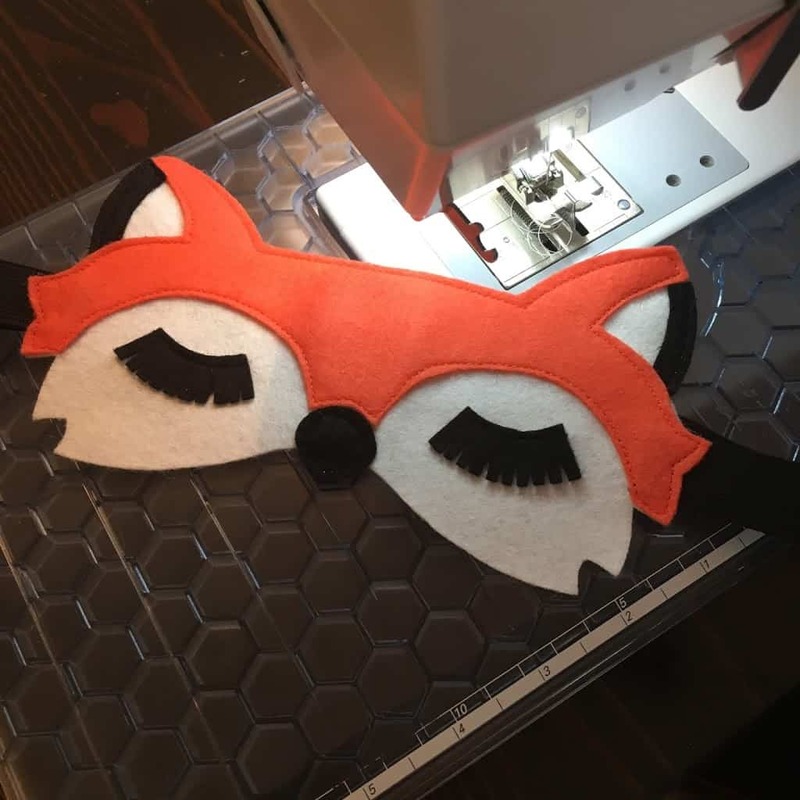 The mask is made out of felt which is so easy to cut and sew. Here is the finished article, modelled by myself, the picture on the left has an Instagram filter on it for added sparkle. It’s a fun, cute make and my friend’s daughter liked it.